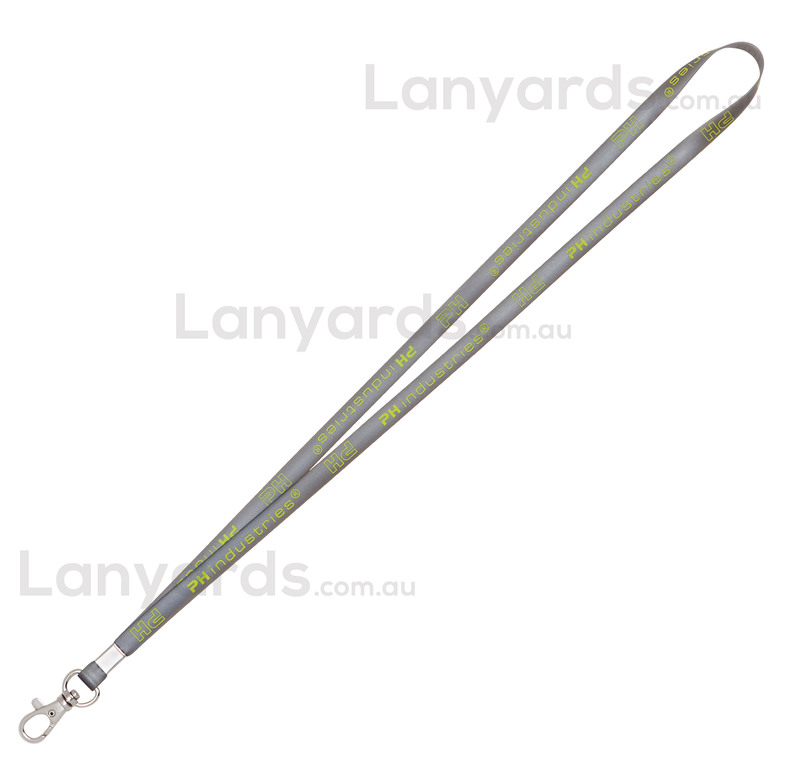 These printed PVC lanyards are fashionable lanyards in funky semi transparent colours. Made from a stretchable PVC material these are perfect promotional lanyards for a younger demographic. Cool looking colours that are bound to get people talking, these promotional lanyards are an ideal choice for fashion shows, movie events or corporate branding days. The width is only 10mm wide and is suitable just for simple text and logos due to the printing process. Note: Click images to see more info about each printing technique. For pricing please call us on 1300 198 002.